In the past I was a huge fan from the lipscrub from lush, bubble gum. But when I emptied that packing I always forgot to buy a new one (read it was to expensive). So I really forgot that lipscrubs still exist… Till a while ago that I say lipscrubs in the store kruidvat. There was so much choose in colors and tastes. So I directly bought two lipscrubs. These are from the brand catch & shine and kruidvat has a separate display with these products. They will change the products often so these are limited edition and gone is gone. So that is way I wanted to share this budget Monday as soon as possible! 🙂 So time of a little review from the mango and blueberry lipscrub. The mango lipscrub has a sweet smell that also smell a bit chemical. Of course I can smell the mango so the smell is for sure ok. The taste, uuh haha just try to get as little as possible from the scrub in your mouth, because I didn’t like that taste of it… 😉 But the most important think is how good works this mango scrub? It has a coarse structure, but it works so good! You massage this scrub softly onto your lips and then you can wash it of. And you will clearly see difference! My lips felt so good and soft and looked much better! If you have dry or sensitive lips then I recommendto use after the scrub session a good lip balm. The blueberry lipscrub smells so sweet, but I love it! It is for sure a lovely scrub and it just works the same as the mango lipscrub. Your lips will look amazing and will be kiss proof (soft 😉 ). Above you can see the coarser structure from this scrub. With these lipscrubs you can’t forget to give your lips some extra attention! Because they both work amazing! And scrubbing your lips is so time just needed! So yes, these scrubs deserved a place in the budget Monday series! Because they only cost €1,99 each in kruidvat and they contain 15ml. Do you use a lipscrub? Ja, deze zijn echt super fijn! 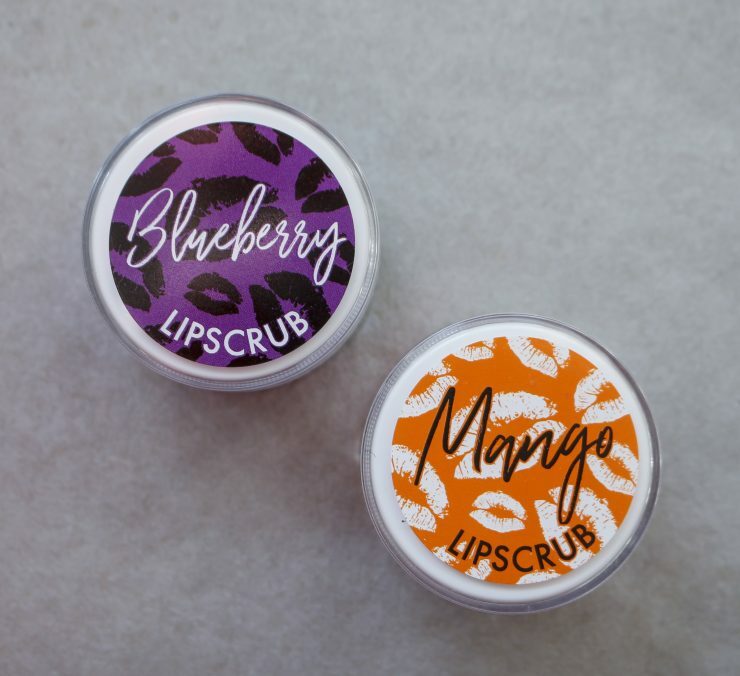 These lip scrubs are amazing and price is stunning! Oh, thank you so much! And oh I really love the names of our cats!